Dr. Terri E. Weaver is Dean and Professor of the University of Illinois at Chicago College of Nursing. She is nationally and internationally recognized for her research on the effect of daytime sleepiness on daily behaviors and assessment of treatment outcomes. Her program of research centers on treatment adherence, analysis of treatment efficacy for obstructive sleep apnea, and mechanisms and outcomes of daytime sleepiness. She has expertise on issues related to functional status/quality of life, treatment adherence, instrument development and randomized clinical trials. Dr. Weaver has 170 scholarly publications and her research has been supported by nearly $30 million from the National Institutes of Health, with funding from the National Heart, Lung, and Blood Institute and the National Institute of Nursing Research. She currently serves on the Board of Directors for the American Academy of Sleep Medicine, and the American Board of Sleep Medicine. Previously, she served on the Executive Committee and Training and Education Chair for the World Federation of Sleep Research & Sleep Medicine Societies. Dr. Weaver received her BSN from the University of Pittsburgh and her MSN and PhD from the University of Pennsylvania. She is the recipient of numerous awards and honors. 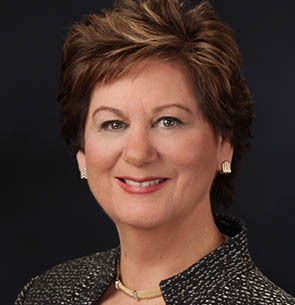 Most prestigious, she received the preeminent Ada Sue Hinshaw Award of the Friends of the National Institute of Nursing Research and is a Fellow of the American Academy of Nursing.